After seeing Jurassic World I really wanted to check out Chris Pratt (Andy Dwyer) in Parks and Recreation. I watched him in Everwood years ago and he was great in the new Jurassic installment. 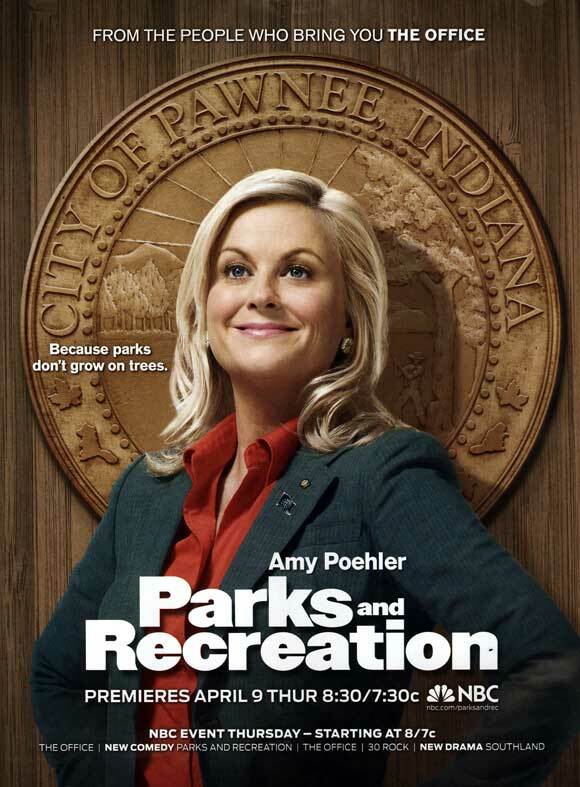 Parks and Recreation may be over now, but with Netflix it’s never too late to get hooked on a show. I also enjoyed Amy Poehler (Leslie Knope) co-hosting the Golden Globes, so it was really about time I check out her show. In the first episode I wasn’t sure what to think. It was such a bizarre show. Leslie was so dedicated to her job and she’s got some pretty good ideas, but she’s also kind of clueless. She gets little respect in the office and from her mom. Chris’ characters was basically like his Everwood character all grown up. I was a little disappointed after his Jurassic Park character. I wasn’t hooked at all from the first episode, but I kept going. And I’m very glad I did. The humor and the show didn’t really change as the first season progressed, but it really grew on me. It’s kind of like a strange reality TV show. I’m not use to characters looking straight at the camera, but it added to the quirkiness of the show. I get that no one cares about local government. I’ve never really thought about any redevelopment like turning the pit into a park. It’s a really good idea, but I can’t imagine actually going to the town hall meeting or doing anything to make it happened. I want this park to happen though. Leslie has somehow got me invested in this project. She’s also got other people invested in the project too. I really like Rashida Jones’ character Ann Perkins. She started out as a very angry civilian because her boyfriend fell in the pit, but now Leslie has changed her mind about government. Ann believes in government again or at least in Leslie. Ann is also the only sane person on the show. Though considering she’s dating Andy, maybe she’s not that sane. Andy is a slob that sings in a band and well Ann is too old and too smart to be going through the rock star phase. Ron Swanson (Nick Offerman) is the worst boss ever. He does as little as possible and would rather do even less. But Leslie has even sparked something in him too. He stood up for her in a disciplinary hearing. Leslie is not the kind of government employee to get in trouble. She’s a very straight arrow. But she has a big crush on Mark (Paul Schneider) and when it comes to him she doesn’t think clearly. A hard rule is that they can’t accept expensive gifts. The office got a big gift basket and Leslie was keeping it in her office so no one opened it. But then Leslie and Ann were drinking with the boys and the beer ran out, but Leslie didn’t want the night to end, so she opened the basket and drank the wine. She felt so ashamed for her actions and was punishing herself more than anyone else was. That would have been the end of it, except the 19-year-old intern, April (Aubrey Plaza), drank some of the wine, videoed it and put it on the website to create the park because she was bored. That’s when Leslie was really in trouble. The journey to turn the pit into a park is still going and I will definitely watch season two to find out if Leslie can pull it off. You can watch the entire series on Netflix and Hulu.